Attention to detail sets Larlin's Home Improvement apart from other drywall contractors. Delivering quality workmanship and professional service from start to finish, Larlin's Home Improvement is a safe bet for superior drywall repair. We've been in the drywall business for 15 years, repairing cracks, punctures and small leaks in your ceilings and walls. Larlin's Home Improvement's drywall repair services include repairing holes, punctures, and cracks in walls and ceilings. We provide comprehensive services to repair the damage, caulk, and sand to make the surface flush and then finish the project to your specifications. 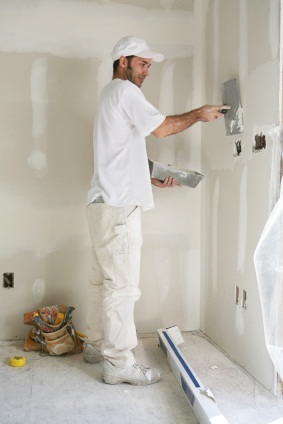 We guarantee that your drywall job results in a clean finish over the entire surface. We've been repairing drywall in area homes since 2004. Larlin's Home Improvement installs drywall and blue board on interior walls and ceilings. You want to make sure your home improvement contractor is correctly patching and repairing the drywall for your painting project. We don't cut corners at Larlin's Home Improvement. We are proud of our reputation for quality handyman and drywall services. We've been in business since 2004. Give us a call today and find out why we're the local favorite! Call (203) 267-0607 to schedule a free drywall quote.